There’s a lot of H.P. Lovecraft in modern nerd culture’s DNA. You can draw a straight line between the Cthulhu Mythos and the Conan stories, for example, and a lot of weird mystical stuff from 1970s Conan comics leaked into the Marvel Universe, which includes blatant Cthulhu Mythos analogues like Cthton and the Darkhold. World of Warcraft is particularly drenched in Lovecraft’s influence, and the most recent expansion involves you being forced to kick the hell out of a lot of people wearing familiar-looking squid masks. Cthulhu himself, the big name in the franchise, the guy whose name tends to be on the cover, is 0 and 1 against the Real Ghostbusters. Even if you possess no great personal certitude about who Lovecraft is or what he wrote, you’re probably a lot more familiar with his whole deal than you think you are. 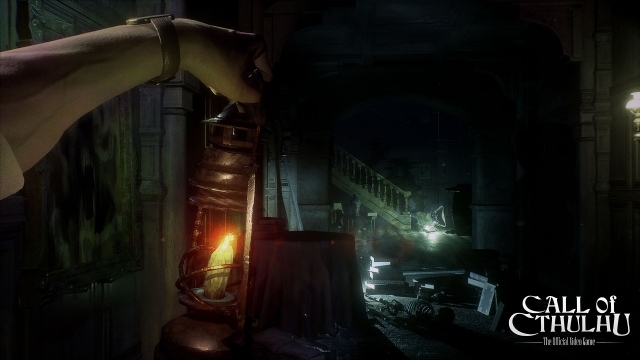 What all that means for a product like the 2018 Call of Cthulhu, then, is that it’s got a big handicap from the title screen. It’s a well-imagined, interesting take on a story that’s been getting told over and over again for almost a century now, in virtually every franchise that could figure out a way to cram in a shout-out. 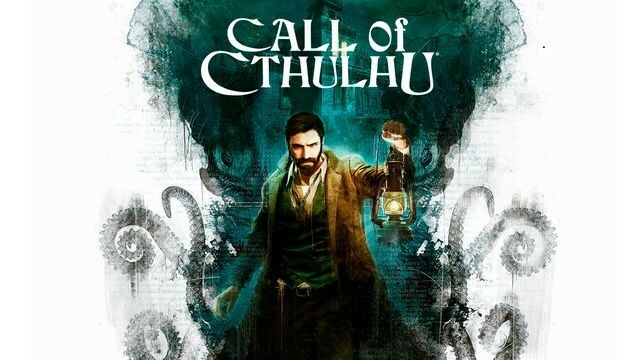 If you’ve played a Call of Cthulhu game before, or a game influenced by the franchise, or the tabletop game, or you’ve read Lovecraft, or you’ve seen any of the dozens of films that are based directly or partially upon his work, or you’ve even had someone tell you about Lovecraft before now, you already have a good idea about most of what’s going to happen in Call of Cthulhu 2018. It’s like the set list for an old band’s farewell tour. They’re gonna play all the hits. We’ve got our setting, an island off the New England coast where Bad Things have been happening for its entire documented history; we’ve got our viewpoint character, a grizzled private detective from Boston with a drinking problem and untreated PTSD, which makes him basically the same guy as the protagonist from 2005’s Dark Corners of the Earth; we’ve got robed cultists causing shenanigans within the first five minutes of the game; and we’ve got an isolated fishing village on the New England coast where the natives have a disturbing fascination with tentacles. If there’s a Lovecraft bingo card out there, you’d fill it out twice by the end of the first hour. Which is more or less the point, I suppose. This game has the franchise’s name on it, so naturally, it was always going to be faithful to the source material. It’s got a few modern updates, like several female characters who are active participants in the plot, but otherwise this is a straight shot of H.P. Lovecraft, classic style, no gimmicks. You know what you’re in for, and it’s exactly what you get. In effect, then, that makes this a very difficult sit for anyone who’s already familiar with the franchise. There are no particular swerves, no attempts to toy with your expectations; it’s old wine in a new bottle. It’s presented well and makes intelligent use of its medium, so I was never actually bored, but this felt a great deal like it was simply going through the motions. 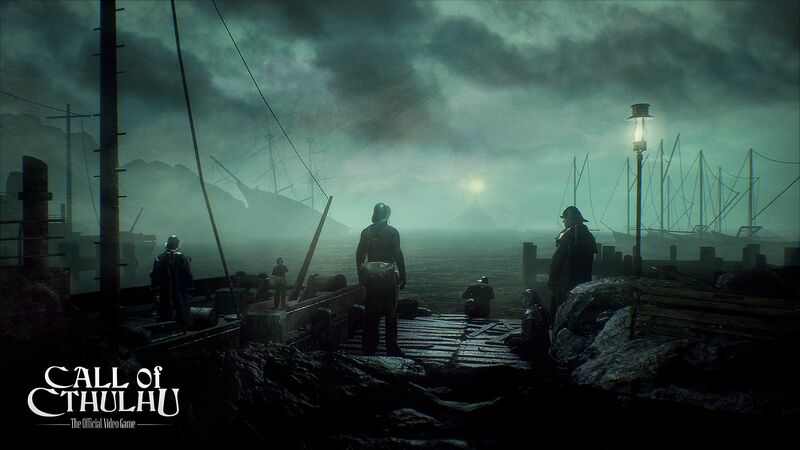 Of course, if you aren’t yet jaded by multiple exposures to Lovecraft or those later works he’s influenced, this Call of Cthulhu would probably make a great introduction to the Mythos. 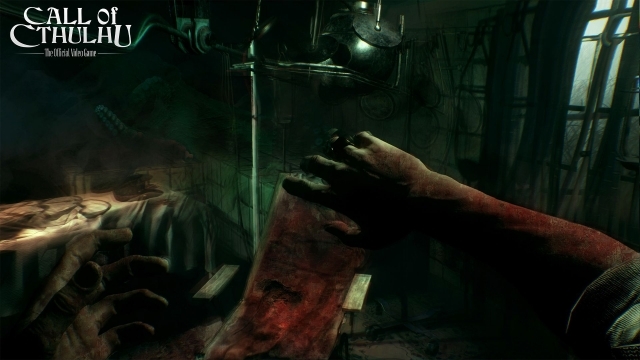 It never explains very much, lets your imagination fill in a lot of the gaps, and it’s often legitimately creepy without tons of unnecessary gore. Casual fans and horror newcomers would find a lot to like here. 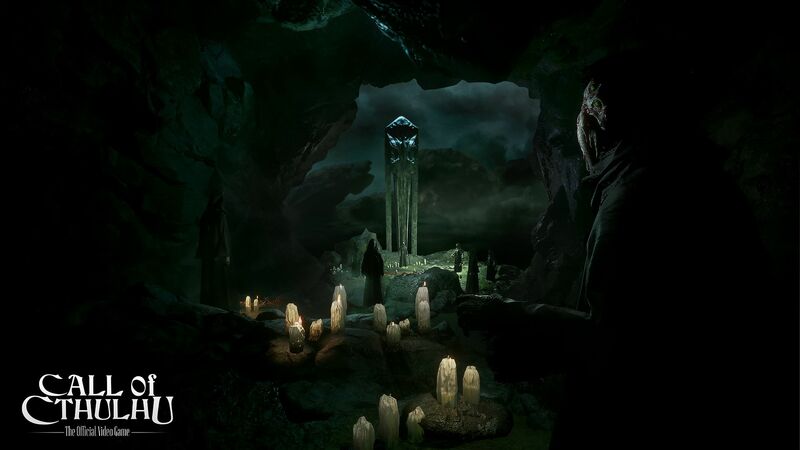 More to the point, Call of Cthulhu 2018 does have some interesting systems built into it. 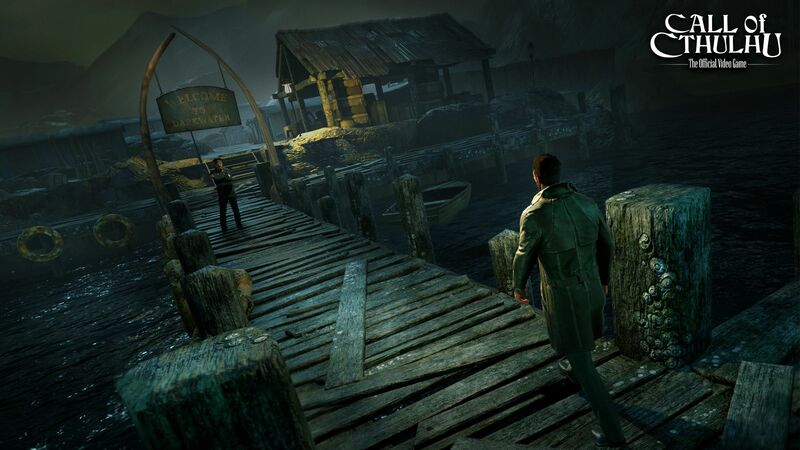 It’s got the structure of a typical narrative-focused adventure game, but you play as a detective, and so you spend much of your time detecting. Clues you find in one scene can unlock conversational prompts in the next, which naturally draws you further into the story by virtue of having to hunt up the right questions. There’s also a neat set of systems that it doesn’t really do enough with, where you’re presented with an issue that has multiple possible solutions, and which one you take depends entirely on how you’ve spent your character’s skill points. You can buy up physical strength, investigation chops, psychology, attention to detail, or eloquence, each of which provides you with multiple options to achieve your next objective. It’s a little sliver of Deus Ex in the middle of this adventure game. The plot still unfolds in a linear fashion and it’s limited to a few special sections, but it’s still welcome. A couple of janky bits drag down the average, though. The plot is reasonably well-constructed despite having a lot of moving parts, so it must have been a nightmare to keep straight in the writing room, but especially as you get near the end of the game there are a few issues. Theoretically important choices never come up again, and a couple of the puzzles don’t seem to have a solution that isn’t achieved via pure trial and error. Most notably, the protagonist suddenly remembers he’s carrying a pistol about two-thirds of the way through, after he’s been repeatedly punched out, imprisoned, and forced to flee from unarmed security guards on several occasions. This is still a Cthulhu Mythos story, so a pistol is fairly useless a lot of the time, but the game would be about an hour shorter if you had the option to at least threaten people with your forty-five until they stop being evil and vague. What it comes down to is that this is a perfectly serviceable, well-crafted adventure game with some decent scares and good systems, but it seems to be aimed at an audience that is wholly unfamiliar with the source material. Seasoned Lovecraft fans, or even horror fans who’ve absorbed a lot of Lovecraft via cultural osmosis, won’t find much here that’s new enough to be genuinely horrific. You already know from the jump that this is going to be a story about the protagonist descending into madness due to constant brushes with the unknown and unknowable, so everything leading up to that point feels unpleasantly like it’s just playing out the string. It’s the problem with doing a straight Lovecraft story in 2018; we’ve all seen it multiple times by now, so it’s a song we know by heart. Ideally, I’d enjoy a sequel along these lines that also had the creative freedom to toy with the story and setting. The detective work is well-designed and actually kind of fun, having multiple solutions to a given problem is a welcome change, and I even enjoy how the game autosaves after your choices to keep you from save-scumming your way to an ideal outcome. 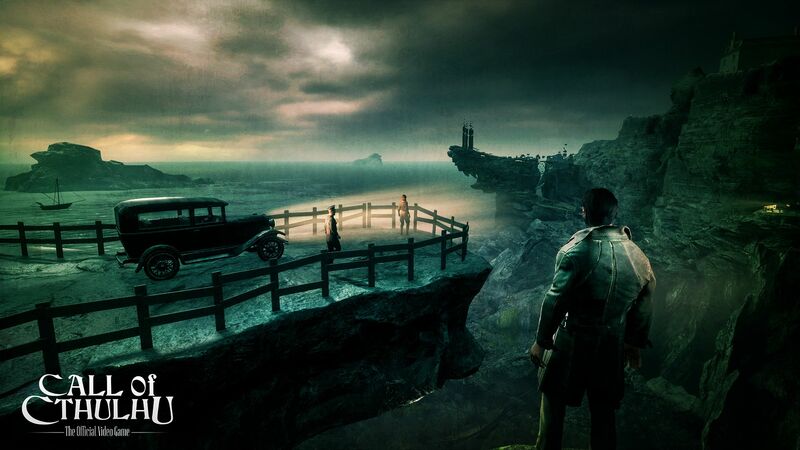 The primary problem with 2018’s Call of Cthulhu is simply that it’s a Cthulhu game, done as straight as it possibly can be. In a game that’s mostly about its story, it’s a detriment that its story is thus extremely predictable. This review is based on a digital copy of Call of Cthulhu for the PC provided by Focus Home Interactive.